The best yachting resources are found in Fort Lauderdale, Florida. Ak Yachts is all about providing helpful information to yacht owners, yacht buyers and yacht sellers! Let us know if you have a service or recommendation for any services or products which you have found to be valuable! The following yachting resources are helpful for yacht owners of all categories to make your yachting experience more enjoyable and knowledgeable. Tell them Ak Yachts sent you! Please check our Blog regularly as we try to provide up to date information to yachting enthusiasts. Ideas about articles or other recommended yachting resources are welcome! Please feel free to send us an email to info@akyachts.com with your ideas! Guest blogs are welcome! Buying a Yacht FAQ’s – explores common questions which yacht buyers ask! Bluewater Books & Charts – World renowned authority and supplier in Fort Lauderdale Florida, the Bluewater bookstore is king of yachting and boating books and charts. You can order from their comprehensive website as well. Dozier’s Waterway Guide – this yachting guide offers a collection of comprehensive yacht cruising guides covering the west coast of Florida to the Great Lakes, and from Chicago to Mobile. 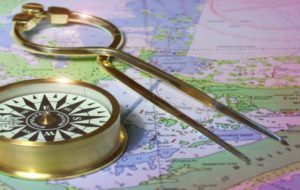 Additionally the website offers up-to-date yachting navigation information, yacht cruising forum and yacht cruising news. Florida Cruising Directory– A terrific guide to yacht cruising in Florida waters. Includes current information for marinas, boatyards, bridges, restaurants, boat ramps, emergency numbers, etc. plus regional charts as you cruise. Available in print or electronic version. The website also features relevant cruising guides and dvds, yacht repair books, dvds and videos, yacht handling books dvds and videos. Mid Size Power Boats – Written by David H. Pascoe, a leading authority on mid-range motor yacht surveying, this informative guide is an excellent reference and learning tool for everything that you wanted to know about owning or buying a power boat. The guide and the link to Mr. Pascoe’s website contains many articles of interest to yachtsmen and to yacht professionals. NOAA Charts– The official NOAA Office of Coast Survey website offers many ways to view, order and download yacht navigation charts (both electronic charts and paper charts) in all available formats. Powerboat Guide – A comprehensive reference used by brokers and buyers for motor yachts from 26′ – 80′. Most brands for motor yachts commonly found in the US are listed in this invaluable yachting guide. Especially useful are the yacht layouts, yacht photos, important dimensions and manufacturer history. The Great Book of Anchorages– A new and concise guide for use along the eastern US coast for boat anchorages and free dockage. Yachtsman’s Guide to the Bahamas– Written for many years, the yachtsman’s guide is a detailed an informative guide for yacht cruising in the Bahamas, the Turks and Caicos Islands and the Dominican Republic. A must-have for every cruising yacht in this area! Yachts International Magazine – Known for beautiful informative articles on a variety of megayachts, chartering and crusing; Yachts International is a first stop for many international megayacht enthusiaists! Costa Rica Tourism Guide – A robust website with links to recommended Costa Rica hotels, surfing, sport fishing, golf and more. Lot’s of great information for outdoor adventures in Costa Rica. Dock Search – This website provides a search engine for finding private dockage around the eastern seaboard, the Bahamas and the Caribbean. It is an invaluable tool which we use to find private dockage for our customers. Fort Lauderdale Municipal Marinas – Managed by the City of Fort Lauderdale, there are several great locations to choose from for yachts of all sizes! IGY Marinas– This outfit is managing and developing a multitude of upper end marinas in the Caribbean, Central and South America, the Turks and Caicos and the US northeast catering to megayachts among the finest destinations. Loggerhead Marinas – Loggerhead is well known along the Florida east coast and west coast, providing club-style membership and flexible docking to cruising yachts of all sizes. LXR Marinas– LXR manages the premier yacht resorts in Fort Lauderdale, Boca Raton, Captiva, Sarasota and Puerto Rico. Marina facilities include Bahia Mar, Pier 66, Fort Lauderdale Grande, Boca Resort , El Conquistador, South Seas Island resort and the Hyatt Sarasota. Westrec Marinas – Well known and established for many years, Westrec marinas are located along the Florida, Georgia and California coasts. Popular Westrec marinas in South Florida include the Hall of Fame marina, Sunrise Harbor Marina, Harbour Towne Marina, Grove Isle Marina, Crandon Park Marina and Haulover Park Center Marina. Catering to yachts and boats of all sizes. Barry Brown Marine– This full service outfit is located up the Fort Lauderdale New River at Billfish Marina and does good work. Limited to haul up to 85’. Cable Marine – A full service boatyard with two locations in Fort Lauderdale – near 17 Street (smaller boats) and up the New River with capabilities up to around 100’. The New River facility also has great covered dockage under a concrete shed. First Performance Marine – 1900 SE 15 Street, Fort Lauderdale, Fl 33316, (954) 763-8743 – this small boatyard has a lift capable up to 60’ and does good, reliable work. A favorite for doing surveys and bottom jobs. Harbour Towne Marina– This large marina offers a haul out area which local vendors service. A favorite for survey haul outs and bottom jobs. Located off the Dania canal south of Port Everglades. Lauderdale Marine Center– This gigantic boatyard located up Fort Lauderdale’s New River has vendors which subcontract to do work. LMC caters to larger yachts and offers a huge travel lift which can haul yachts over 150’. There are also paint sheds for complete repainting. V&G Yachtworks – This smaller boatyard does a good job and offers full service for yachts up to around 65’. Another favorite for surveys and bottom jobs. Located on the Dania canal south of Port Everglades. Ask for Joe! Craig Key– The center of the universe for charter captains in Miami in the 1900’s. Also the first yacht club in the Florida Keys. Many interesting characters stopped by – from Ripley’s Chinese Junk to countless celebrities and historical figures. This island hotspot was rebuilt numerous times after being demolished by hurricanes and stopped existing after Hurricane Donna in 1960. Family to Andy Craig Kniffin of Ak yachts. Show Management– This outfit puts on the hugely popular South Florida boat shows including the Fort Lauderdale International Boat Show, Miami Brokerage Show, St. Petersburg Power and Sailboat Show and the Palm Beach International Boat Show. Reel Adventure Charters – Operates two nice sportfishers in the Haulover area (North Miami) for great fishing adventures. Ask for Capt. Jay! My Fishing Charter page with plenty of links to a variety of great fishing charter operations worldwide! American Yacht Company – Worldwide charter specialist with tons of experience to make your Yachting holiday the best decision you ever made! Contemporary Yacht Management– Based in Fort Lauderdale, Florida; CYM takes the headaches out of boat ownership by providing an alternative to hiring full-time crew. CYM manages all aspects of yacht maintenance and provides yacht owners the knowledge that their yacht is being well looked after and ready to go! Ask for Marlon! Independent Jets – This company monitors hundreds of private aircraft allowing for the opportunity to buy private jet time at a substantial discount – thus eliminating long term contracts and associated expenses which allow the yachter to stay flexible. Boat Owners Warehouse – this retail chain of marine supply stores has a comprehensive inventory of the things yacht owners and vendors need. They can also special order just about anything marine related. Creative Canvas – 2101 SW 2nd Ave, Fort Lauderdale, FL, 33315 (954)522-7322. A preferred vendor of ours doing great custom canvas and upholstery work. Ask for Brian! Seafarer Marine – Located in the marine industrial section of Fort Lauderdale, Seafarer carries a line of supplies and materials for the yachting trade including a neat hardware department, a large selection of hardwoods and materials such as starboard. They will cut pieces to order. West Marine – Now one of the biggest retailers in the US for boat supplies and parts, with stores around the country – Fort Lauderdale being the largest. They also have a division for wholesale supplies called Port Supply. Boaters Marine Supply – Discount prices on over 25,000 marine electronics, boat Accessories, boat supplies, fishing and water sport equipment. Most orders ship same day, no tax and free shipping.